Mission: Dreaming God-sized dreams has become a staple of Aldersgate UMC in East Brunswick. With an active young adults ministry and youth group that continues to grow, the church has set its sights and focus on the next generation. The first Sunday of every month, the church hosts ‘Family First Worship Service’ where children and parents are encouraged to attend together. The worship includes opportunities for children to sing and dance, pray with and for their parents, participate in communion and give their offerings to God. “It has become a time that we all look forward to each month, and we are excited to see what happens next,” said Rev. Erica Munoz, Aldersgate UMC senior pastor. Each month has a new theme and families are asked to engage in a mission project. Recent projects include making Valentines for children who attend other houses of worship in the community and crafting Christmas cards for the children of the Crisis Room, a church-sponsored outreach that feeds and serves over 2,000 people a month. “A great joy in the midst of this important ministry is that the volunteers from our congregation have the unique opportunity to be in ministry with all the faith communities of East Brunswick and many other organizations that volunteer to impact the people of Middlesex County,” said Munoz. The church connects with the local community through the Middlesex County Fair and church fundraisers such as the Pumpkin Patch, an annual Butterfly Release, and a Tree Lighting Jubilee and Advent Celebration. New and exciting small groups have formed including volleyball, moms groups, crafters, and brunch groups. These groups challenge themselves to give more faithfully of their financial gifts and their time. Many of these groups have explored ways to be in ministry to the world through the church’s mission connections in Sierra Leonne and the Sri Lankan Annual Conference. Apostle: Rev. Erica Munoz knew she wanted to become a music teacher, but didn’t know what God had in store for her life. 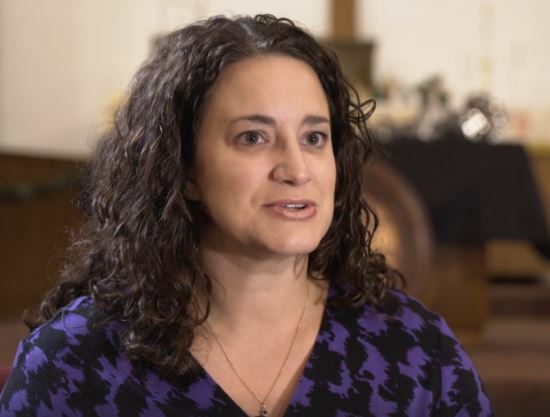 “I admitted very clearly that I knew for a fact, that I would never want to be a minister in the church,” said Munoz, describing her teenage years as an active youth at First UMC of Newton where she was baptized and confirmed. Munoz chose West Virginia Wesleyan College to pursue music education and became involved at First Church in Buckhannon, W.V. where she was hired as part-time Director of Children’s Ministries during her junior year. Discerning that ministry was the direction God was leading her toward, Munoz committed to following. It was then that she realized her experiences during high school played a formative role in her spiritual development. Munoz graduated in 2008 with a Masters of Divinity and Certification in Youth and Young Adult Ministry from Boston University School of Theology. That same year she was hired and later appointed as GNJ’s Children, Youth, and Young Adult Coordinator and commissioned as a Provisional Elder in 2009. In 2012 she was ordained an Elder in Full Connection and 2014, began her first local church appointment as an interim of Aldersgate UMC where she was appointed full time in 2015. An advocate for Coaching and PaCE groups, Munoz serves as the Raritan Valley District Committee on Ordained Ministry Chair and the GNJ Safe Sanctuaries Coordinator. “I have been serving this congregation and loving every minute of what God is doing in my life and in this community of faith,” she exclaimed. Munoz lives in East Brunswick with her husband Matt and two children, Madelyn and Braelon.